Black Pepperman that has been an outstanding outcross for my Black Knight family. Sire/gr sire to countless diploma winners including his most famous son "Domino." 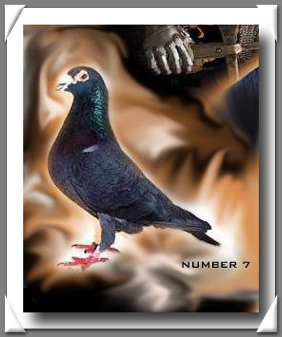 Domino is the product of #7 when he was crossed with #145 who was one of my foundation hens of my Whiteracer Family. or even end up with a reddish tint sometimes. 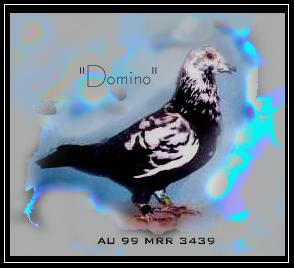 "Domino" Multiple DiplomaWinner and outstanding breeder! Visit my "Domino Family" page to view some of his best. Multiple Diploma Winner and consistently in the top 20% from 100-450 miles. as a YB and my best flying white that year. 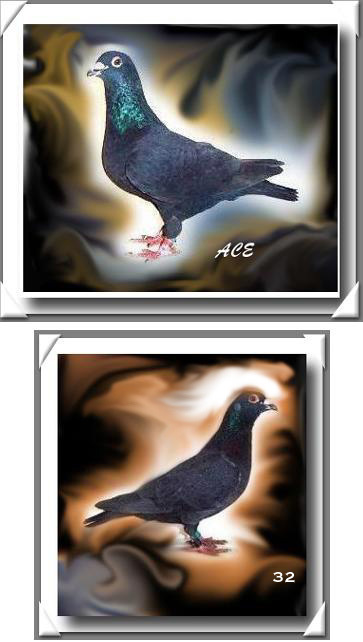 Current foundation hen and possibly the best American bred/raced solid black sprint pigeon!!! Granddaughter to foundation Black Eagle/Silvre Toye pair. One of my top breeding Black Knight hens. 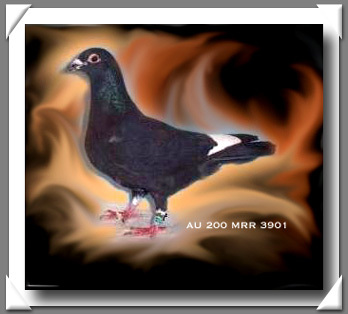 AU 2001 MRR 0233 "Ace"
Uncle to money winners in the AU Convention, Oregon Beaver Sate One Loft, Twin Cities Gold Band futurities. Black is a direct son of "Domino" and currently on my race team. 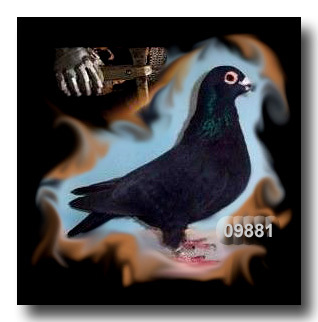 On 6/5/2004 he was 4th club 400M and one of only 13 daybirds, 6/26/04 he was 2nd club 400M while flying an average of 30 miles futher than my club members.